How to Choose 1U Rack Mount Patch Panel? 1U rack mount patch panel is generally used within a server rack, unlike the wall mount patch panel that is fixed on the wall. Facing the trends like high density servers and converged infrastructure that has result in amounts of cables in the server racks, rack mount patch panel is the perfect way to solve poor cable management at the source. Now I bet you come here because you have to choose one rack mount patch panel of some sort, but don’t know exactly how. Don’t worry, let’s start at the beginning. Before buying it, we should know why we need the rack mount patch panel. The main reason is that 1U rack mount patch panels have close relationship with cable performance. 1U rack mount patch panel as one tool of 1U cable management is the primary factor in maintaining high circuit performance during cable installation and use. It makes all cables connections in order so as to avoid cables becoming tangled and messy, and all changes can be made at the patch panel. Also, with all connections are made on the equipment, rack mount patch panel can save wear and tear on the ports of expensive equipment like switches, which helps reduce equipment cost. Rack mount patch panel seems a simple product, but there are still some aspects make you wonder. The following are the aspects that should be considered when you shopping one 1U rack mount patch panel. Space and port requirement. Before buying a rack mount enclosure, first determine your requirements of space and ports because patch panels are available in different sizes and types. For standardization purposes, rack mounts are usually 19 inches and given in U units range from 1U to 4U. Make sure you know the height, depth, width and weight of the equipment. Budget. Money always is the unavoidable issue. Establish a budget for the equipment, then you can narrow the buying scope and make the final selection. FS.COM offers different versions of 1U rack mount patch panel to meet customers’ needs. Here are three products and pick one based on your need. This rack mount equipment is made of SPCC material with black coating. 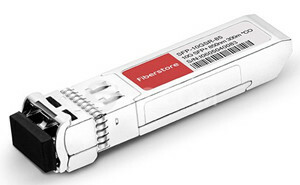 It can accept 4 fibre adapter panels of LC, SC ports or 4 MTP modular cassettes, which can connect 96 fibres. The top panel uses the demountable design that allows you to put 4 splice trays or 2 slack spools to manage and protect your cables. The equipment is suitable for small or medium communication room with a favorable price of 68 dollars. Like the former 1U rack mount equipment, this fibre enclosure uses the same material and also can hold 4 fibre adapters or MTP cassettes, connecting 96 fibres at most. But this high density device adopts a new design of parallel sliding drawer that pulls the drawer out you can manage the cables inside the device, instead of removing the top panel. Another creative design is the semi-transparent design of front door, which makes it more convenient to check the inside cables and protect the cables from the dust. It’s an ideal solution for high density cabling with a price of 89 dollars. Featured with 3 independently sliding drawers, this ultra high density equipment can house 12 MTP cassettes or fibre adapter panels. Thus, with the 50% increase in usable density, it can connect 144 fibres in 1U server rack. And the open design of the back can improve the airflow which is beneficial to equipment cooling. This equipment enjoys a higher price of 120 dollars for it’s designed to satisfy the most extreme fibre density demands. The following table is the comparison of the three products. If you want to buy a rack mount patch panel with good quality at low price, the 1U rack mount fibre enclosure can satisfy your need. If you prefer to protect cables from dust, the second product is suitable for you. And if you have to deal with ultra high density fibres, choose the last product. Whether you are ready to buy a rack mount patch panel, FS.COM is here to help. Get in touch with us via our website FS.COM. This entry was posted in Cables Management and tagged 1U cable management, patch panel, rack mount enclosure on July 11, 2018 by Sinead.Zhang.